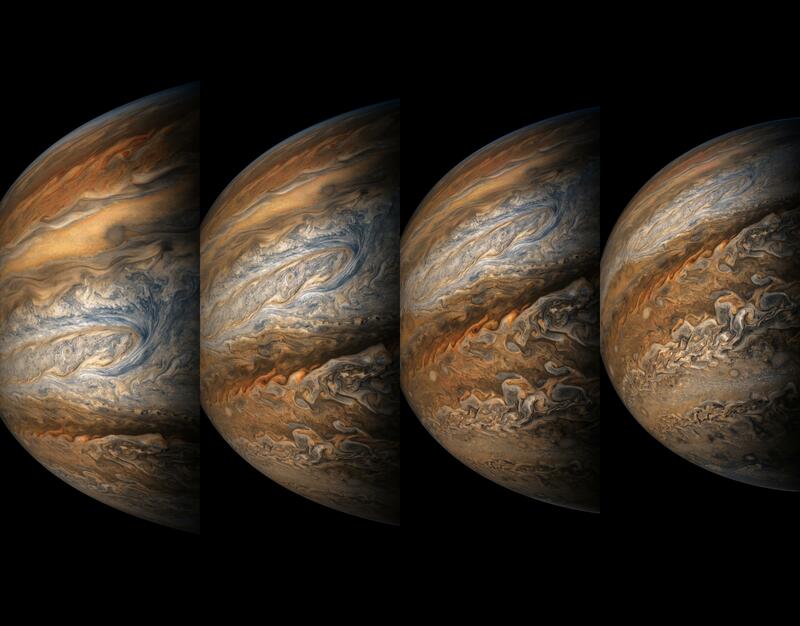 This series of enhanced-color images shows Jupiter up close and personal, as NASA's Juno spacecraft performed its eighth flyby of the gas giant planet. The images were obtained by JunoCam. Points of Interest include "Dalmatian Zone/Eye of Odin," "Dark Eye/STB Ghost East End," "Coolest Place on Jupiter," and "Renslow/Hurricane Rachel." 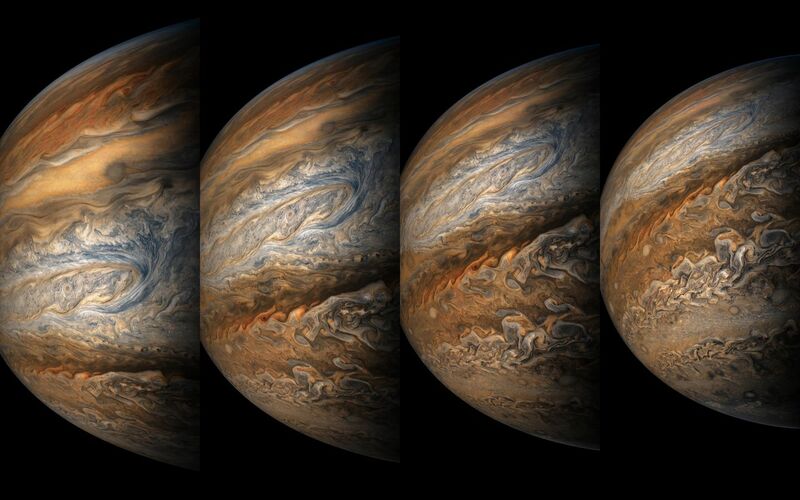 The final image in the series on the right shows Jupiter's south pole coming into view.